Ciders and lagers and bears, oh my! John Longo, Drew Longo, Tom Gottsch and Rebecca Ruoff at the Philadelphia Zoo's OktoBEARfest on Sept. 15, 2018. This past Saturday, the Philadelphia Zoo held its annual OktoBEARfest. More than 500 guests attended the after-hours event at the zoo and enjoyed entertainment, dancing, yard games, and animal and zookeeper meet and greets. 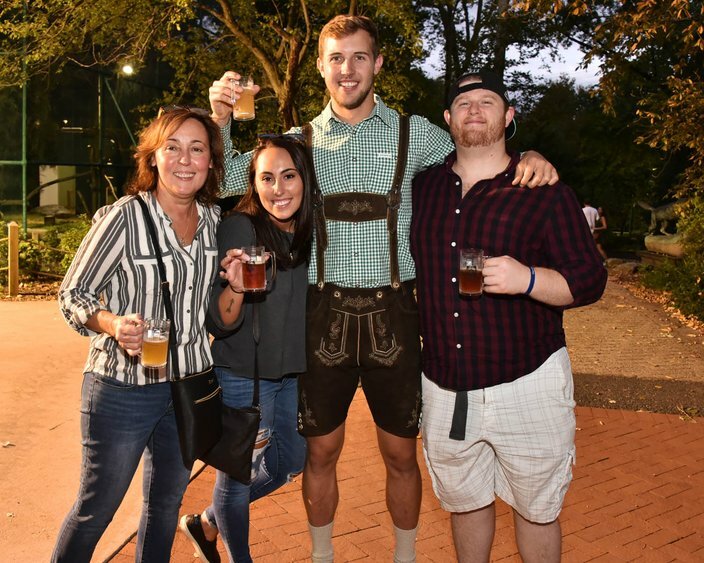 With 100-plus craft beers to sample, guests also enjoyed the offerings from 10 food trucks, including Cow and the Curd, Waffles & Wedges, Lil’ Pop Shop, Nick’s Roast Beef and Hai Street Kitchen, which offered pay-as-you-go selections. OktoBEARfest serves as a fundraiser and supports Philadelphia Zoo in its mission to create joyful discovery and inspire action for animals and habitats. 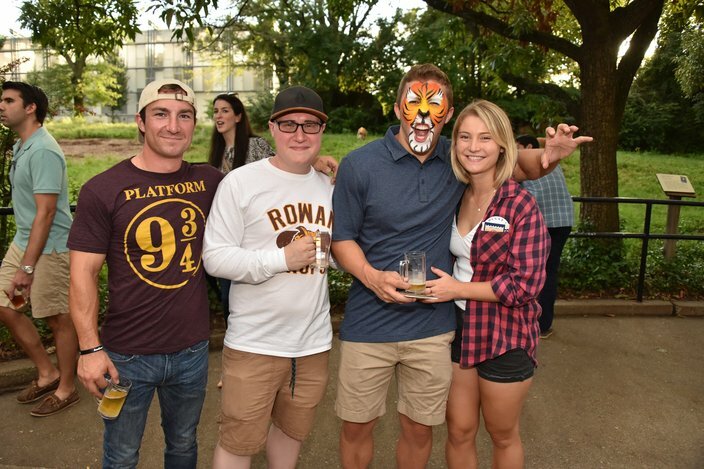 Chris Cullura, Nicole Cullura, Mark Lesser and Paul Cullura at the Philadelphia Zoo's OktoBEARfest on Sept. 15, 2018. 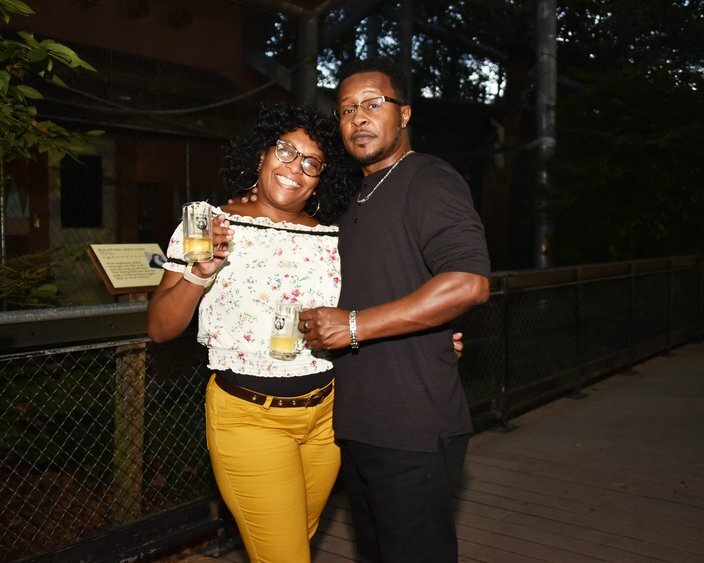 Regina Tolliver and Kenny Robinson at the Philadelphia Zoo's OktoBEARfest on Sept. 15, 2018. 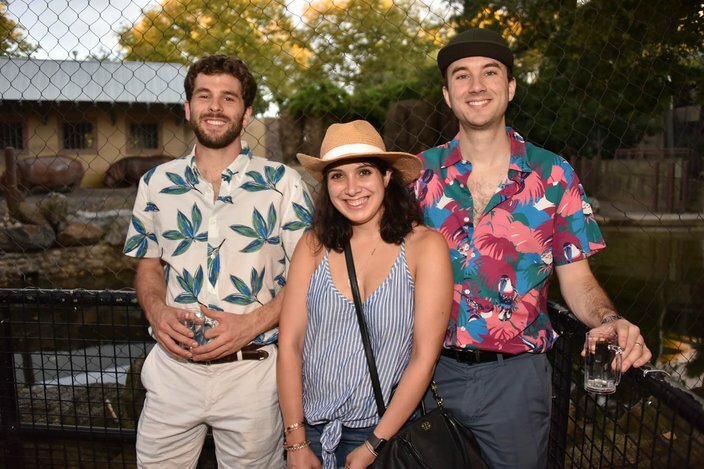 Brett McLarney, Mitra McLarney and Matt McLarney at the Philadelphia Zoo's OktoBEARfest on Sept. 15, 2018. 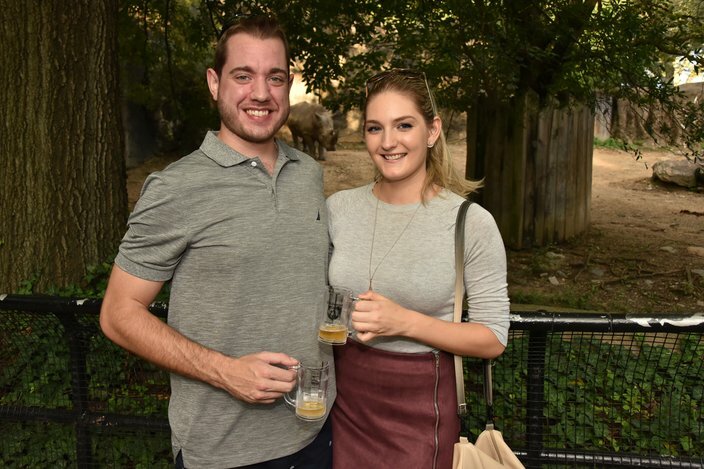 Ian Kosavski and Victoria Sperezza at the Philadelphia Zoo's OktoBEARfest on Sept. 15, 2018. 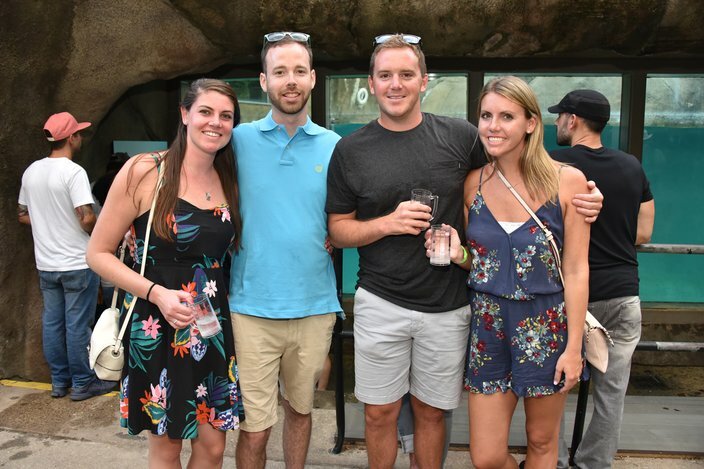 Marissa Field, Andrew Lawlor, Adam Young and Katie Schoyer at the Philadelphia Zoo's OktoBEARfest on Sept. 15, 2018. 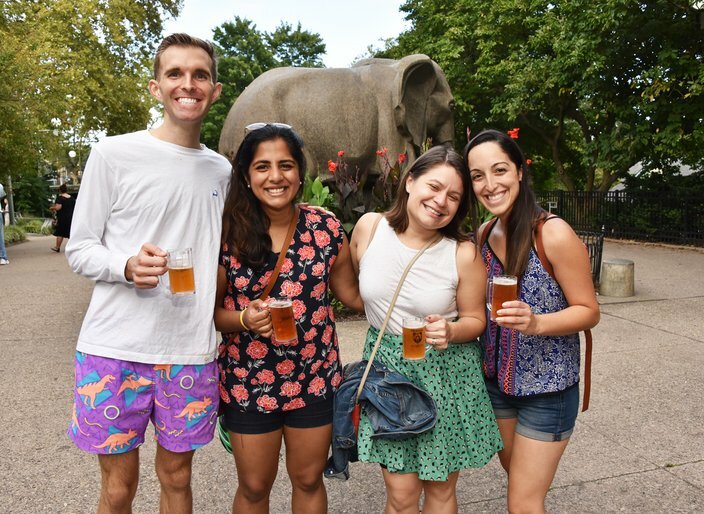 Logan Grimes, Gayathri Prabhakar, Mariko Bennett, Yesi Sanchez at the Philadelphia Zoo's OktoBEARfest on Sept. 15, 2018. 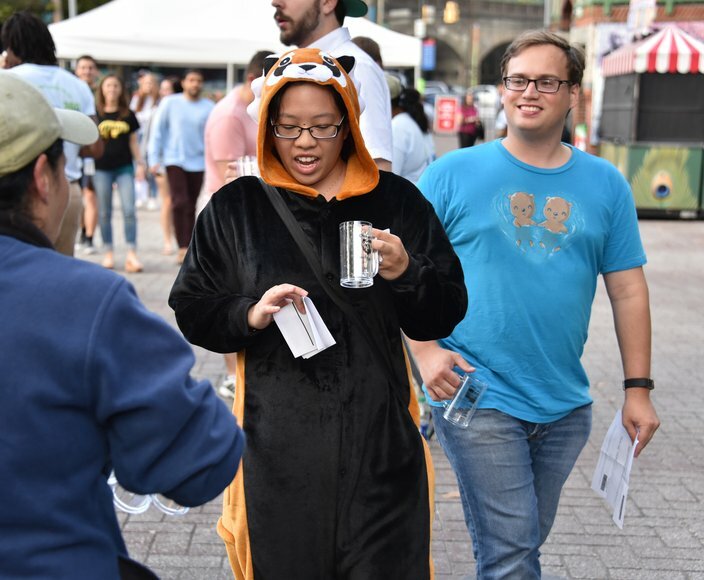 Rebecca Chen (dressed as a Red Panda) and Aachen Elginghorst pick up their mugs as they attend the Philadelphia Zoo's OktoBEARfest on Sept. 15, 2018.